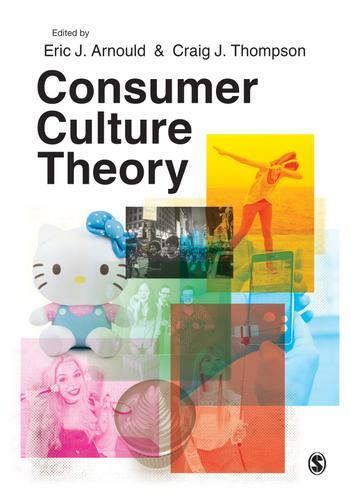 Outlining the key themes, concepts and theoretical areas in the field, this book draws on contributions from prominent researchers to unravel the complexities of consumer culture by looking at how it affects personal identity, social interactions and the consuming human being. A field which is characterised as being theoretically challenging is made accessible through learning features that include case study material, critical reflection, research directions, further reading and a broad mix of the types of consumers and consumption contexts including emerging markets and economies. The structure of the book is designed to help students map the field in the way it is interpreted by researchers and follows the conceptual mapping in the classic Arnould & Thompson 2005 journal article. The book is organised into three parts - the Consumption Identity, Marketplace Cultures and the Socio-Historic Patterning of Consumption. Insight is offered into both the historical roots of consumer culture and the everyday experiences of navigating the contemporary marketplace. The book is supported by a collection of international case studies and real world scenarios, including: How Fashion Bloggers Rule the Fashion World; the Kendall Jenner Pepsi Commercial; Professional Beer Pong, Military Recruiting Campaigns, The World Health Organization and the Corporatization of Education. The go-to text for anyone new to CCT or postgraduate students writing a CCT-related thesis.